UTA students and faculty/staff enjoy discounted presale prices to The Bash! In order to verify your status as a UTA student or faculty/staff, you will need to log in to your UTATickets.com account with your UTA email address before purchasing tickets. If you have purchased tickets at utatickets.com before using your UTA email, please log in with that account. If this is your first time purchasing tickets at utatickets.com, please select "I am a new user" and create an account with your UTA email address. If you need any assistance purchasing your tickets, please contact the UTA Box Office at 817-272-9595 or boxoffice@uta.edu. Online ticket sales end November 8 at 5:30 pm. Prices will increase at the door beginning at 5:30 pm. 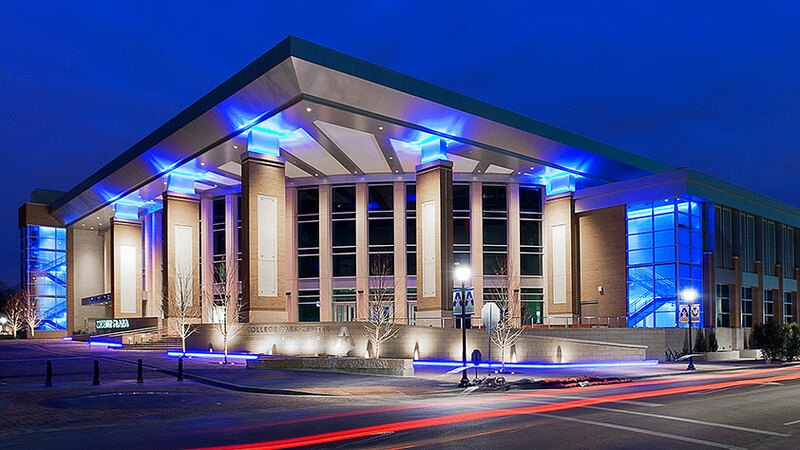 Take a detailed look at the many sports and performance venues on the campus of UT Arlington. UTA Box Office: 600 S. Center Street, Arlington, TX 76010 • boxoffice@uta.edu • 817-272-9595 • The Box Office opens a minimum of one hour prior to show time on weekend and holiday performance days. The opinions and views expressed by performers do not necessarily represent the views of UT Arlington. If you need an accommodation to fully participate in a program (event), please contact the UTA Box Office at 817-272-9595 or boxoffice@uta.edu. Please allow sufficient time to arrange the accommodation.